Starter repair and replacement in Raleigh/Durham for your Mercedes, BMW, Audi, Porsche, Land Rover, Mini, Volvo, VW, Lexus and Toyota. It’s like a dealership at your location but affordable. If your vehicle starter is experiencing issues, fret not. We are Raleigh’s easiest and most affordable mobile repair service. We begin by offering you a free quote for service and all we need is your vehicle’s make, model, and year along with a brief description of your issue. 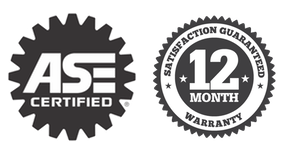 At that point, we will schedule you a same or next day service with an ASE Certified Mechanic at your home or office. Our friendly mechanic will complete a diagnostic and service for you quickly and efficiently, so you can get on with your busy life. A few signs your starter is failing? Hassle free starter repairs and replacements with peace of mind at your home or office. Are you ready to get started on your starter repair in Raleigh? Call us today at (919) 675-2886 for more information and a comprehensive list of all starter repair and replacement services. We offer a 12 month or 12,000 mile warranty on all parts we supply. This is our “Peace of Mind” promise to you. Give us a call or fill out our contact form to get your free quote. Raleigh Vehicle Repair looks forward to serving you. Eric came out to look at my electrical issue and provided the best service I’ve ever had in regards to car repair. He diagnosed quickly, gave me a fair price for the repair (Starter replacement), and completed it within an hour if not an hour and a half. He was extremely courteous and I would recommend him for any car repair issue that you may have. I’ll be calling him back for any future repairs needed.